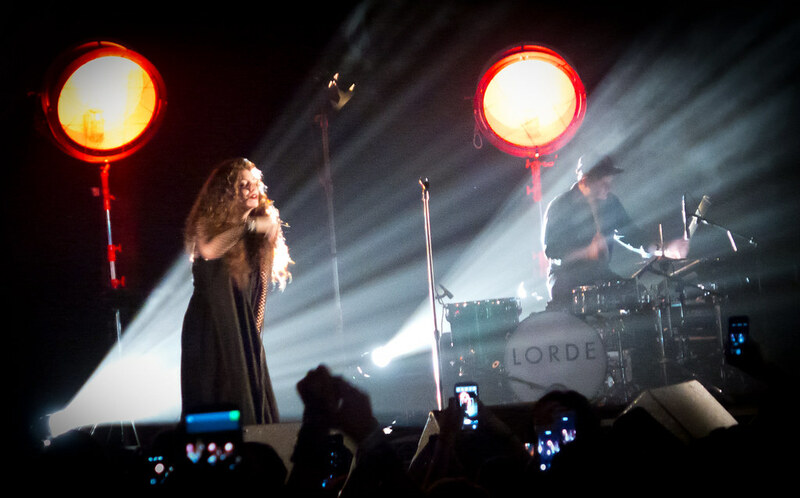 This fall, Lorde has announced she is returning to North America to tour. The tour launches this August in Philadelphia and will make it's way on the east coast through the mid-west and then heads west, stopping at Los Angeles' Greek Theater and ending at Texas' Austin City Limits in October. Since it’s release in September 2013, “PURE HEROINE” has reached PLATINUM status and has sold over 1.2 millions copies. Lorde’s critically acclaimed debut album “PURE HEROINE” [LAVA/Republic Records] continues to dominate U.S charts. Her quadruple platinum single “Royals” holds the record for "Longest #1 on the Billboard Hot 100 by a Female Artist in 2013." Her previous single “Team” is her second #1 on Adult Top 40, making her the first female artist in Billboard history to rule over the AAA Radio Airplay chart with two songs. "Team" also held the top spot for four weeks and landed at #6 on the Billboard Hot 100 with over 1.7 billion in radio audience to date. You can sign up now for tickets via http://tickets.lorde.co.nz. Deadline is Wednesday, June 4th at 11:59PM EST. Remaining tickets will go on-sale nationwide Friday, June 6th.